For the first time in the nation’s history, a debate on unconditional basic income will be held in the Dutch Parliament this month. This debate, which will take place in the meeting of the Committee of Social Affairs and Employment, will be crucial in determining the direction and timeline for the future of unconditional basic income in the Netherlands. The country’s upcoming experiments will focus only on a selection of the population of those dependent on social welfare; thus, what they are testing is more like a reform of the welfare system, incorporating some aspects of basic income, than a full-fledged universal basic income. In January this year, Member of Parliament Norbert Klein of the Cultural Liberal Party (Vrijzinnige Partij) wrote a ‘note of initiative’ (“initiatiefnota”) to the Dutch Parliament, asking for a serious and open debate about the idea of a basic income for all above 18 years of age (who have lived in The Netherlands for more than 10 years). He also asked Parliament for further research on the topic and a reaction to his letter by the government, a coalition between the left-wing Labour Party (PvdA) and the right-wing People’s Party for Freedom and Democracy (VVD). The latter request was fulfilled in May of this year. 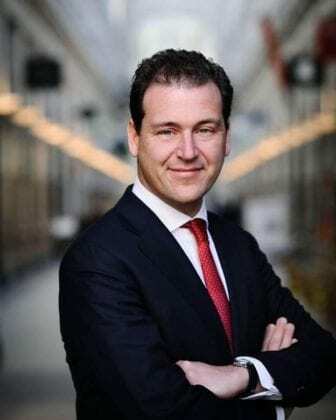 The Minister of Social Affairs and Employment, Lodewijk Assher (PvdA) answered in writing: “The introduction of an unconditional basic income is not a realistic and economic achievable goal.” However, there might still be a chance to further investigate the option of an unconditional basic income. This is one topic to be discussed and debated during the Committee meeting on September 19th. If you want to witness this discussion, you are welcome to do so, as the meeting is open to public. 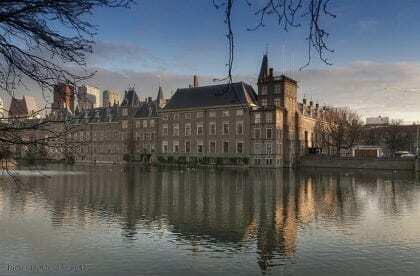 It will take place on September 19th from 13:00-18:00 (GMT+2), during the meeting of the Committee of Social Affairs and Employment in the Thorbeckezaal of the Dutch Houses of Parliament, Lange Poten 2511, The Hague (bring your passport). The meeting can also be followed via livestreaming. Both letters (Klein’s’ memorandum of initiative and Assher’s’ response) can be found here (in Dutch). A Basic Income News article written by Florie Barnhoorn addressing a public debate on this topic can be found here. Special thanks to Josh Martin and Kate McFarland for reviewing this article. As I Dutchman I can assure you it will be the most vaporous debate ever. Don’t expect anything. I’ll be there. If anyone has any questions feel free to ask. up until today, I had never heard about either Norbert Klein nor the Vrijzinnige partij”. That’s because the “vrijzinnige partij” has never participated in elections.